Northern Voices: Child abuse inquiry finds former Rochdale Council leader "lied under oath." Child abuse inquiry finds former Rochdale Council leader "lied under oath." THE Labour Party have suspended former Rochdale Labour council leader, Richard Farnell, after he was found by the Independent Inquiry on Child Sexual Abuse (IICSA), to have lied under oath. In the investigations first published report, Farnell was branded as "shameful" by the inquiry for refusing to take personal responsibility for the abuse - carried out by others, which occurred when he was first Rochdale Labour council leader between 1986-1992. 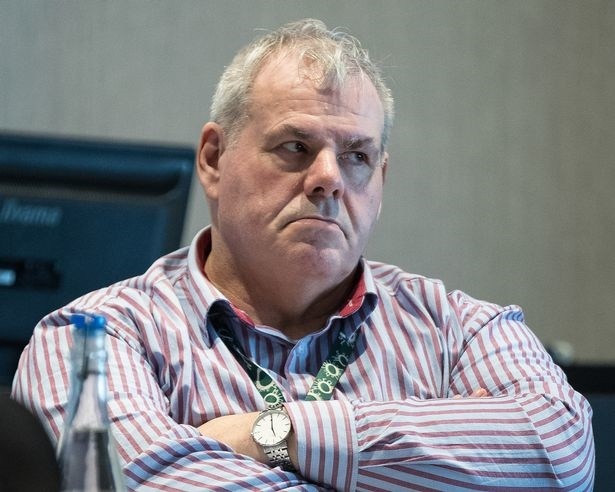 The report describes Cllr Farnell as a person who "bullied and browbeat people" (which he denied) who was "bullish, self-opinionated, and unyielding." It concluded that he was a person who was "prepared to blame others without acknowledging his own failures of leadership." The report describes how for over 30-years, children were being sexually abused at Knowl View school, Rochdale town centre, the bus station, and the "notorious" Smith Street public toilets that were situated directly across the road from the Rochdale council offices. The report says that the former Liberal leader of the council, ex-MP, Paul Rowen, who led the council in the mid-1990s, "bore considerable responsibility" for the school too, at best being "insufficiently inquisitive" about it and at worst having "turned a blind eye" by choosing to give its problems a "low priority." "It defies belief that Mr Farnell was unaware of the events involving knowl View School..."
Councillor Farnell was once employed as a press and publicity officer (spin doctor) for Tameside Council where he was nicknamed Doctor Goebbels and sometimes, Mahatma propa-gandhi, for his abilities to spin a tale. Last March (2017), The Sun newspaper reported that as Rochdale council leader, Farnell, had "treated" himself to a 51% pay rise - up to £47,304 from 31,224, while many Rochdalians saw their living standards fall and their council tax soar. His nemesis, Cllr Joinson, was an elected Labour member of Tameside Council for seventeen years between 1987-2004. As a press and publicity officer, Farnell appears particularly accident prone. If he has any future left in politics, he will have to do some explaining to pull himself out of this mess which he has created for himself. At the time of writing, we understand Greater Manchester Police (GMP), are investigating 'possible offences' relating to the findings of the inquiry.